i have SO much to report, but am still processing. believe you me, s'all good, at least i think so, sort of, really mostly.....no, not really....... but, i'm just kidding, kind of. confused? well, so am i. cOOOOOonstantly. but, one thing i AM clear on is this: my recent infatuation with elliot. 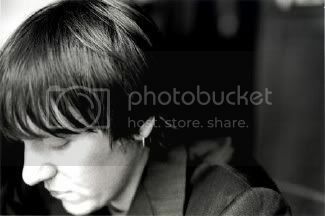 yeeeeeees, mr. elliot smith. i just can't seem to pass one day without hearing his dreamy, ethereal voice. he IS still alive.....and always will be in my silly little world. So suicide... or no? That was a bad day. yah....part of me doesn't even wanna know. i just wanna live in his work and keep him alive, yah? beautiful and wondeful his lyrics are. take me back to thirteen. totally agree - i've always loved him.